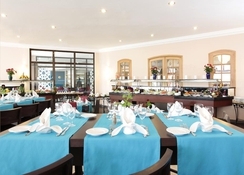 Located on the idyllic Bay of Agadir, The Kenzi Europa Hotel enjoys close proximity to a cosmopolitan array of street-side cafes, lively bars and restaurants, all of which are located downtown. At the hotel, the guests can take a stroll on the serene private beach or laze around in the heated outdoor pool or on the sun terrace. 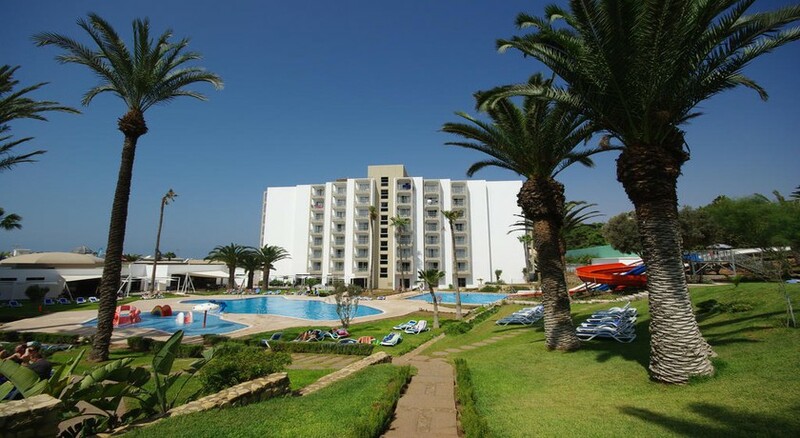 Serving as the perfect holiday resort in Agadir for both kids and adults, the hotel offers numerous entertainment options, well-equipped play areas, two tennis courts, and a spa and wellness centre. Apart from enjoying Moroccan and international cuisines at the two restaurants of the hotel, guests can also choose to enjoy drinks at the English Piano bar. The hotel’s magnificent look, which is inspired by the iconic architecture of the 60s, is complemented with modern amenities and comforts in order to ensure a delightful experience for families as well as couples. Adorned with white sandy beaches and idyllic promenades, The Kenzi Europa Hotel sits atop the magnificent Bay of Agadir just 28 km from the Agadir International Airport. The private beach lies just 100 meters away from the residence, which can be accessed freely. Besides, the hotel lies at a 10-minute walking distance from the city centre, which is lined with street-side cafes, bars, restaurants, and offers as the perfect shopping spot. The Kenzi Europa Hotel boasts of a 60s-inspired design and features 236 rooms and suites, built for contemporary comfort. The hotel accommodates generous guestrooms categorized as either Single and Double Rooms. They are equipped with modern amenities ranging from satellite television sets, music players, telephones, mini bars, refrigerators, linen closets and, upon request, infant cots. All the guestrooms of the hotel enjoy an exclusive furnished balcony/terrace, which offer picturesque sights of the surrounding area. 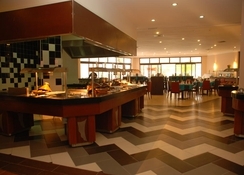 The hotel pampers its guests with a variety of dining options. 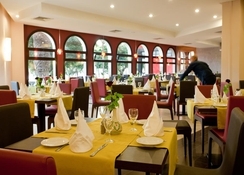 The hotel serves authentic Moroccan dishes, along with various kinds of international cuisine. A café/bar adjacent to the pool serves snacks and drinks to tingle the taste buds of the guests at odd hours. In the evening, live music livens up the English Piano Bar, where guests can relax with their drinks or dance to the tunes of a DJ. The hotel not only offers an outdoor heated swimming pool and a spacious sun terrace to chill out but also attempts to take the experience to the next level with a huge range of added facilities. For its young guests, the hotel offers an exclusive kids playground, games room, and even organises low-key sporting activities around the pool/terrace area during the daytime. 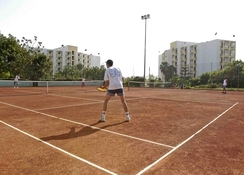 While for the sporty adults, the hotel has in store two tennis courts, a multi-sports ball court, a games room, a fully equipped fitness centre. The hotel also has a spa and wellness centre, which comes with massage therapy/treatment rooms, Hammam, Sauna and Jacuzzi. Excellent value for money stay! This was our first visit to .Morocco, and reading some of the reviews we were a little apprehensive, however we were pleasantly surprised. We believe for the price we paid we got an amazing holiday that surpassed our expectations. The location was fabulous, so glad we didn't pick a hotel towards Founty which was just too far out. The hotel is in a really great central position and just a short walk from the promenade and about 20 minutes stroll to the marina. As 1 of us was in a wheelchair the location was important, close to the promenade with only a very slight incline and one of what must be the best promenades in the world. Flat and really great for wheelchair users. We loved to go to the Marina every morning after our breakfast to sit and people watch with a coffee! The room was comfortable with a nice balcony and a really comfortable bed, housekeeping was to a high standard. One of us is disabled in a wheelchair, the hotel was accessible with a great disabled toilet near the pool. What really stood out for us was the excellent, caring and attentive service we received from all the staff: restaurant, bar, porters and the animation team. They really work hard to ensure you have an enjoyable holiday. We were sorry we on my booked a week! Would we come back Definately! Our advice woukd be go with an open mind, consider the price you are paying (compare to the UK and the service you get in hotels there for the same price!) and accept you are in a different country with different foods and customs! Thank you to everyone at the Kenzi Europa for a great winter break! Nice Hotel and perfect location. Friendly staff and good food too. Only advice for the hotel management would be to have more staff at the bar.